No Forklift Trucks - Health & Safety Sign. All signs are available in a self adhesive vinyl or a 1mm Rigid Plastic. Do Not Oil or Clean Moving Machinery - Health & Safety Sign. 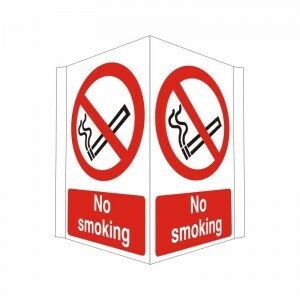 All signs are available in a Self Adhesive Vinyl or a 1mm Rigid Plastic. 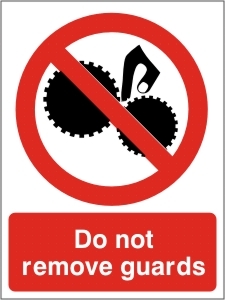 Do Not Remove Guards - Health & Safety Sign. All signs are available in a Self Adhesive Vinyl or a 1mm Rigid Plastic. Do Not Touch Men Working - Health & Safety Sign. All signs are available in a self adhesive vinyl or a 1mm Rigid Plastic. 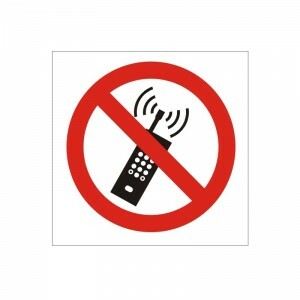 Do Not Use Mobile Phones - Health & Safety Sign. All signs are available in a self adhesive vinyl or a 1mm Rigid Plastic. Do Not Use Unless Guards Are In Position - Health & Safety Sign. 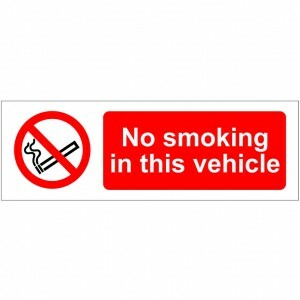 All signs are available in a Self Adhesive Vinyl or a 1mm Rigid Plastic. 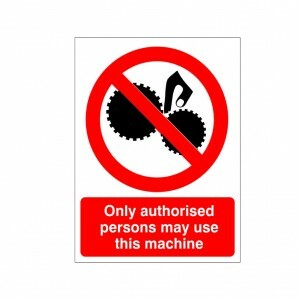 Do Not Wear Loose Clothing When Operating This Machine - Health & Safety Sign. All signs are available in a Self Adhesive Vinyl or a 1mm Rigid Plastic. No Access Beyond This Point - Health & Safety Sign. 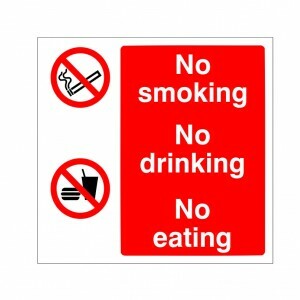 All signs are available in a Self Adhesive Vinyl or a 1mm Rigid Plastic. No Entry - Health & Safety Sign. All signs are available in a Self Adhesive Vinyl or a 1mm Rigid Plastic. No Exit - Health & Safety Sign. All signs are available in a self adhesive vinyl or a 1mm Rigid Plastic. No Throughfare - Health & Safety Sign. All signs are available in a self adhesive vinyl or a 1mm Rigid Plastic. Strictly No Admittance - Health & Safety Sign. All signs are available in a Self Adhesive Vinyl or a 1mm Rigid Plastic. No Pedestrians - Health & Safety Sign. All signs are available in a Self Adhesive Vinyl or a 1mm Rigid Plastic. Not Drinking Water - Health & Safety Sign. 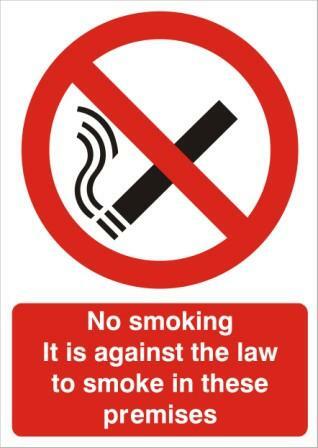 All signs are available in a Self Adhesive Vinyl or a 1mm Rigid Plastic. The Consumption of Food and Drink is Forbidden in This Area - Health & Safety Sign. All signs are available in a Self Adhesive Vinyl or a 1mm Rigid Plastic. Turn off Mobile Phones - Health & Safety Sign. All signs are available in a Self Adhesive Vinyl or a 1mm Rigid Plastic. 10 mph Speed Limit In Force - Health & Safety Sign. 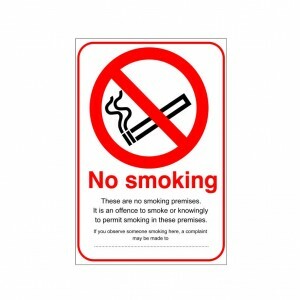 All signs are available in a Self Adhesive Vinyl or a 1mm Rigid Plastic. KEEP OUT! 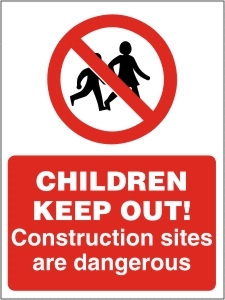 Construction Sites Are Dangerous - Health & Safety Sign. All signs are available in a Self Adhesive Vinyl or a 1mm Rigid Plastic. 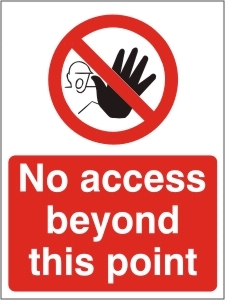 No Entry to Unauthorised Personnel- Health & Safety Sign. All signs are available in a Self Adhesive Vinyl or a 1mm Rigid Plastic. No Parking - Health & Safety Sign. 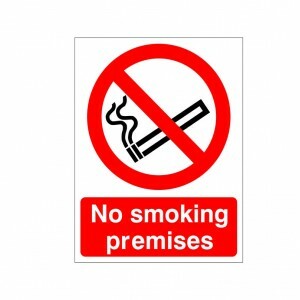 All signs are available in a Self Adhesive Vinyl or a 1mm Rigid Plastic. No Unauthorised Person Allowed Beyond This Point - Health & Safety Sign. All signs are available in a Self Adhesive Vinyl or a 1mm Rigid Plastic. 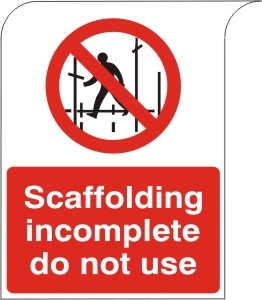 Scaffolding Incomplete Do Not Use - Health & Safety Sign. All signs are available in a Self Adhesive Vinyl or a 1mm Rigid Plastic. You! 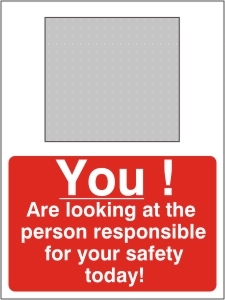 Are Looking at the Person Responsible for Your Safety Today! - Health & Safety Sign. 450mmx600mm complete with Mirror. 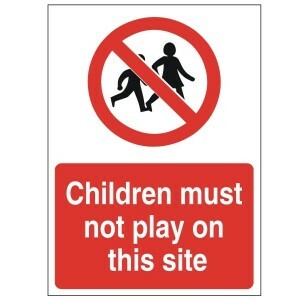 Children Must Not Play On This Site - Health and Safety Sign (PRC.05) - At Safety Services Direct we offer only the highest quality health and safety signs for minuscule prices! 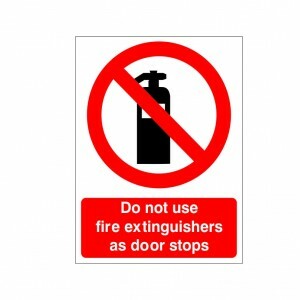 Do Not Use Fire Extinguishers As Door Stops - Health and Safety Sign (PRG.42) - High quality fire safety signs for minimal prices. Just £1.75 from Safety Services Direct! 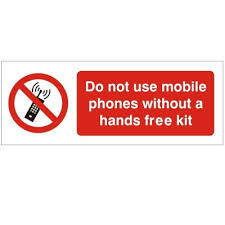 Do Not Use Mobile Phones Without A Hands Free Kit - Health and Safety Sign (PRG.31) - A price-busting £1.75! clear and concise health and safety signs from one of the leading online H&S stores, Safety Services Direct! 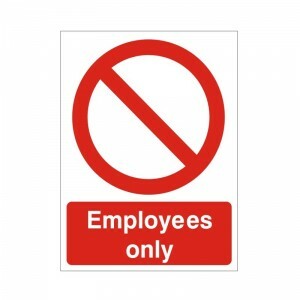 Employees Only - Health and Safety Sign (PRG.36) - At a tiny £1.75, get all your essential health and safety signs from Safety Services Direct for minimal prices! 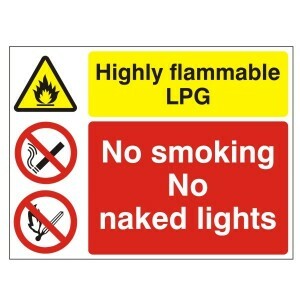 Highly Flammable LPG No Smoking No Naked Lights - Health and Safety Sign (MUL.01) - £3.47! 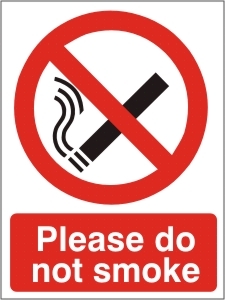 Order your top-class health and safety signs TODAY with Safety Services Direct! 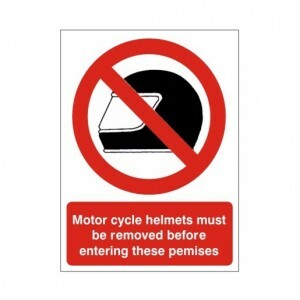 Motorcycle Helmets Must Be Removed Before Entering These Premises - Health and Safety Sign (PRG.35) - High quality, long lasting signs from Safety Services Direct. This sign is just £1.75! 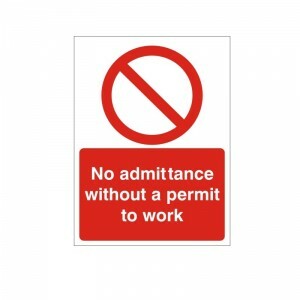 No Admittance Without A Permit To Work - Health and Safety Sign (PRC.19) - At just £3.47, this sign offers great durability and is suitable for any work environment. No Ball Games - Health and Safety Sign (PRG.38) - Unmissable prices for long lasting, clear and concise signs from Safety Services Direct. Just £1.75! 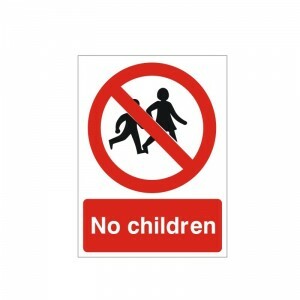 No Children - Health and Safety Sign (PRG.37) - HUGE savings on great quality signs. This sign is only £1.75! No Construction Traffic - Health and Safety Sign (PRC.09) - Great value for money health and safety signs from Safety Services Direct! Just £6.39! 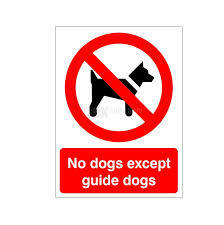 No Dogs Except Guide Dogs - Health and Safety Sign (PRG.33) - Amazing savings on all the health and safety signs you need. Only £1.75! 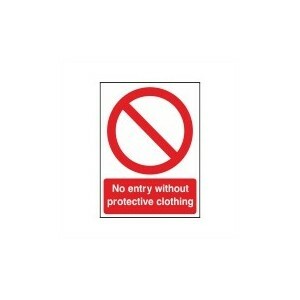 No Entry Without Protective Clothing - Health and Safety Sign (PRA.35) - Only £1.75! 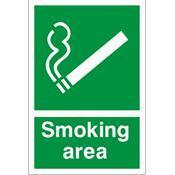 At Safety Services Direct we stock amazingly high quality, long lasting health and safety signs for minimal prices! 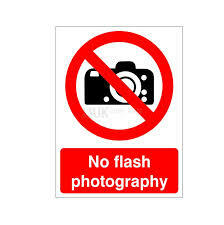 No Flash Photography - Health and Safety Sign (PRG.32) - We stock one of the highest quality and most comprehensive health and safety sign range online. This sign is only £1.75! 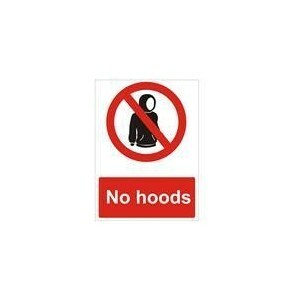 No Hoods - Health and Safety Sign (PRG.41) - At just £1.75, Safety Services Direct offer some of the best priced, top-class signs online! 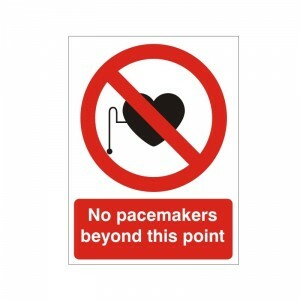 No Pacemakers Beyond This Point - Health and Safety Sign (PRA.37) - £1.75! Safety Services Direct supplies heavily discounted, class-leading signs perfect for ANY business! 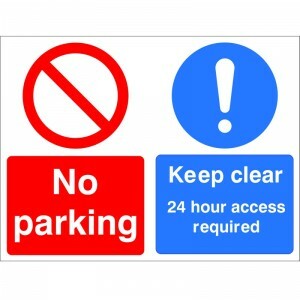 No Parking Keep Clear 24 Hour Access Required - Health and Safety Sign (MUL.51) - Truly great value for money health and safety signs from Safety Services Direct! Our No Parking sign is just £6.39! 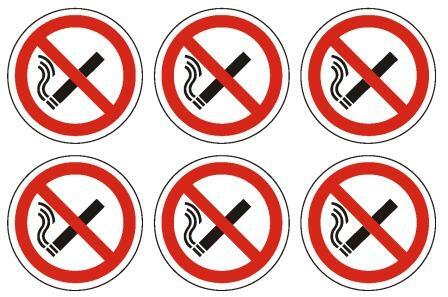 No Pedestrians - Health and Safety Sign (PRA.33) - At only £2.25, Safety Services Direct offer only the best quality health and safety signs, priced for businesses on a budget! 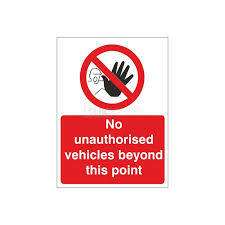 No Unauthorised Vehicles Beyond This Point - Health and Safety Sign (PRA.17) - Order your amazing quality, highly durable health and safety signs TODAY with Safety Services Direct! 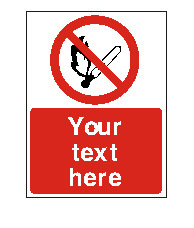 No Unauthorised Vehicles Beyond This Point - Health and Safety Sign (PRA.34) - Great quality signs for minimal prices with Safety Services Direct! 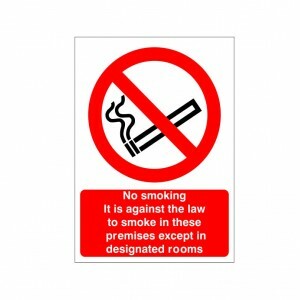 This sign is only £6.39! 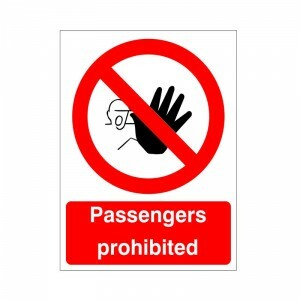 Passengers Prohibited - Health and Safety Sign (PRA.12) - Unbelievably low cost, top quality signs for just £1.75! Order yours TODAY! 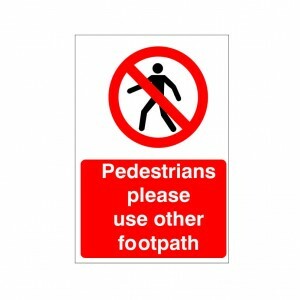 Pedestrians Please Use Other Footpath - Health and Safety Sign (PRC.04) - We offer one of the best ranges of health and safety signs online. Order yours NOW! 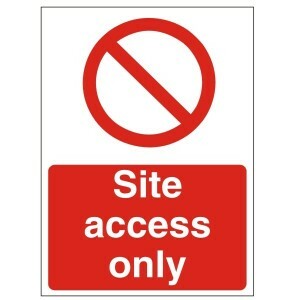 Site Access Only - Health and Safety Sign (PRC.14) - Our prohibition signs are class-leading, clear and concise, landing in at budget prices! 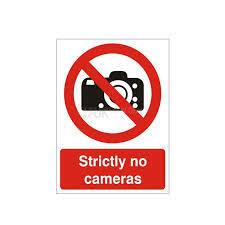 Strictly No Cameras - Health and Safety Sign (PRG.30) - Find all the health and safety signs for your business at incredible prices with Safety Services Direct! 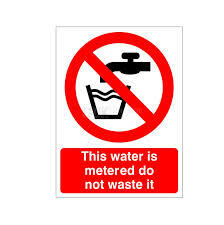 This Water Is Metered Do Not Waste It - Health and Safety Sign (PRG.20) - With top quality signs at budget prices, Safety Services Direct is the one-stop for your health and safety signs! 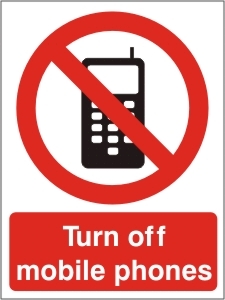 Turn Off Mobile Phones - Health and Safety Sign (PRG.43). We offer super-high durability signs for minuscule prices, just £2.25! Please find below a selection of our best selling and most popular Prohibition Safety Signs. 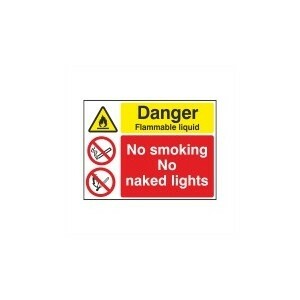 Safety Services Direct Ltd can supply you with all of your health and safety signage requirements, so please contact us if you have a specific safety sign requirement.